Hi! I haven't drawn a product design in a while and this was the last one I did before I got busy. 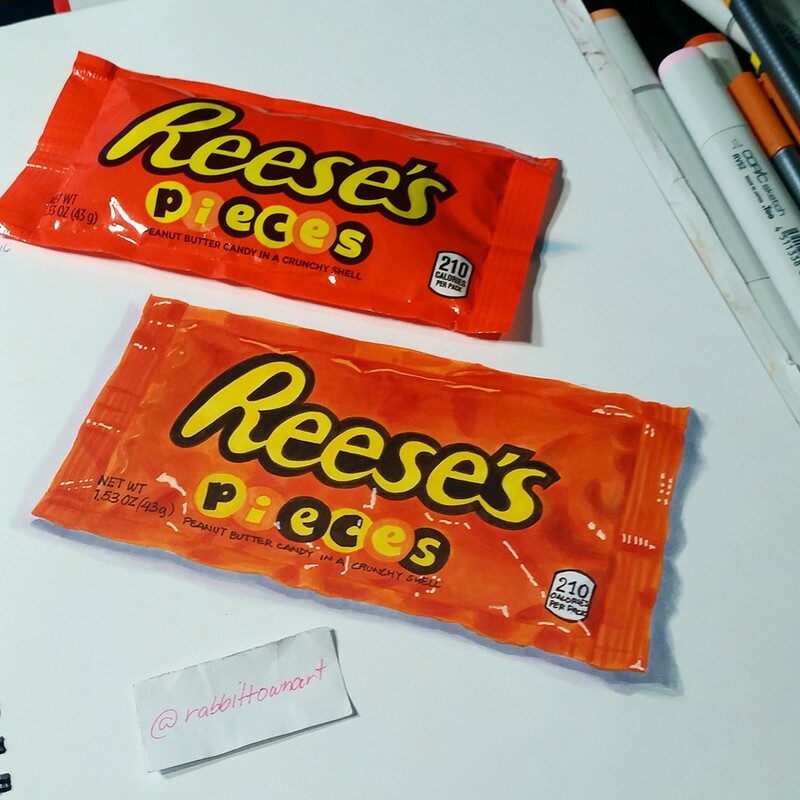 I do like Reeses! Today I updated one of my social media profiles (Illustrator Australia) with new work and a revised biography, got another book job (yay!) and baked. A good day. Sorting out media stuff takes a lot of time. I will probably start drawing up the roughs for my new book gig today and hopefully submit them tomorrow and start doing a few pages of finals. Friday is a busy day already, along with Saturday. Especially Saturday since it's Kookyrabbit's anniversary! I also spent a good part of the day sorting out jobs. It's what I do. Hopefully things align nicely this time and not all come at once!